Minecraft Medieval | Surviving Minecraft, Minecraft Adventures! Are you feeling medieval today? Would you like to experience life as it was before big cities, penicilin and a basic understanding that the sky can’t actually fall? If so, Ellandor Farm is a rather beautiful and very simple minecraft custom map, inspired by Skyrim’s farming lowlands. Although, to be fair, if it were staying close to Skyrim style lore, each farm would have maybe eight potatoes and eight wheat and eight carrots, and then there would be a custom NPC who would inexplicably pay you gold for having picked their tiny crops. 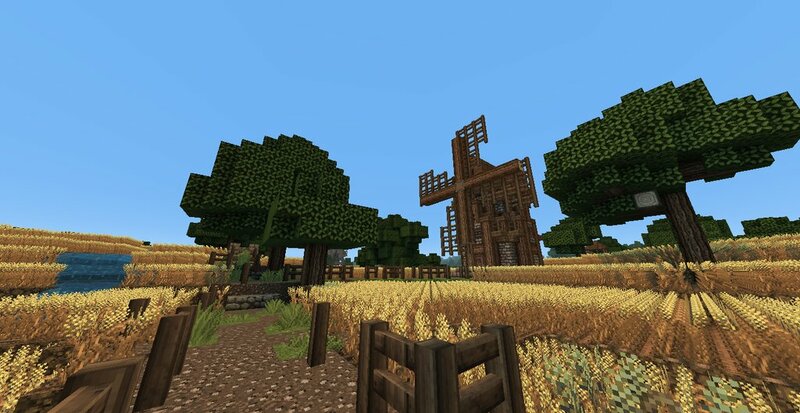 This entry was posted in Minecraft World Save Files and tagged medieval map, Minecraft Medieval, minecraft medieval map download, minecraft skyrim map, minecraft wheat farm download, skyrim minecraft on February 1, 2013 by Hope. From the lapis tipped turrets, to the gothic windows and wood insert detail, this piece of modern / medieval minecraft architecture is a wonder to behold. This entry was posted in Minecraft Builds and tagged Minecraft Medieval, minecraft medieval builds on December 30, 2012 by Hope.